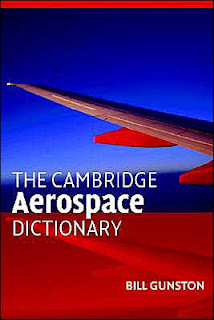 The Cambridge Aerospace Dictionary is an authoritative and accessible reference useful to scholars and enthusiasts alike. This dictionary is an essential tool for people who must read and understand technical content regarding the aerospace industry and specific aircraft. The Cambridge Aerospace Dictionary is also an ideal reference for the engineering and physics student encountering a subject replete with technical jargon and acronyms. The Cambridge Aerospace Dictionary is based on three previous editions of the popular and definitive Janes Aerospace Dictionary by Bill Gunston, OBE, FRaes. For this new edition, Gunston, one of the most widely read and respected aviation writers of all time, added over 15,000 new terms, mostly acronyms, in this carefully updated volume. Terms used in the dictionary reflect the diverse and international nature of the aerospace industry. Also included are brief explanations of aerospace materials and organizations.